New Jersey Gov. Chris Christie didn't let his state's government shutdown put a damper on his family's weekend plans, and he said Monday night he didn't care about the "political optics" that involved. Add Chris Christie as an interest to stay up to date on the latest Chris Christie news, video, and analysis from ABC News. But on Sunday he and other members of his family were seen in aerial photos lounging by the water at Island Beach State Park, even though the beach was closed to the public. Later told about the existence of the photos, the governor's spokesman Brian Murray said, "[Christie] did not get any sun ... He had a baseball hat on." New Jersey Gov. Chris Christie uses the beach with his family and friends at the governor's summer house at Island Beach State Park in N.J., July 2, 2017. 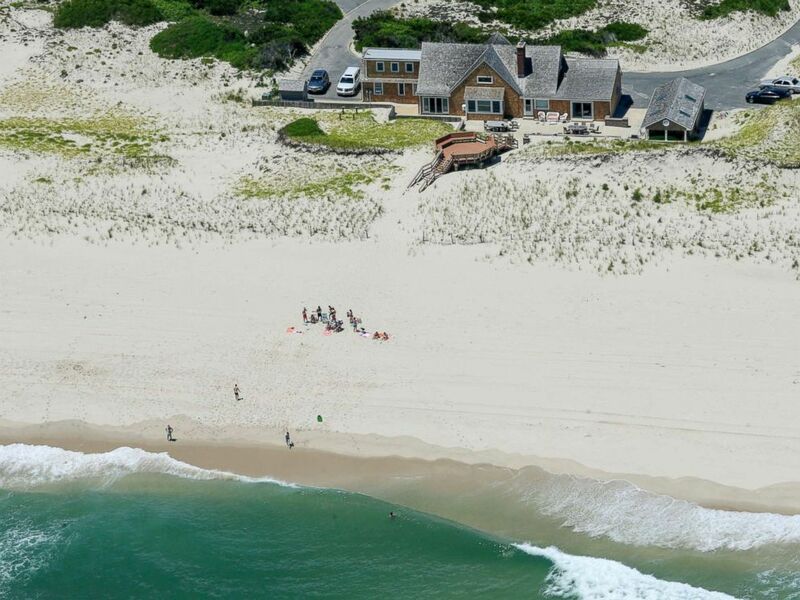 The Christies and family friends are staying at the governor's residence at Island Beach State Park. He has defended their use of the facility amid the shutdown, saying they would not seek state services while there. "They actually caught a politician being where he said he was going to be, with the people he said he was going to be with," he said this morning in a phone interview with Fox 29. "What a great bit of journalism by The Star-Ledger. They actually caught a politician being where he said he was going to be, with the people he said he was going to be with — his wife and his children and their friends," he told New York's Fox 5. Christie spoke about the issue again at a press conference on Monday evening, when he announced that the state had reached a budget deal to reopen government facilities. "I think I have proven over the last eight years that I don't really care about political optics. I care about right and wrong," Christie said. "That's our residence, and we have a right to be there whenever we want to be there." He went on to refer to The Star-Ledger's images of him as an example of "BS gotcha journalism." The majority of the state's beaches, which are managed by individual municipalities, were still available to beachgoers during the shutdown. Christie made that point in a Monday morning tweet. Christie, a former presidential contender, has about six months left in his second term as governor. The state's constitution bars him from running for a third consecutive term. In a March 30 Fairleigh Dickinson University PublicMind poll, 72 percent of New Jersey voters said they disapprove of Christie's leadership.